The rolling banner images are adapted from larger photographs which we reproduce below so that you can see the whole photo. 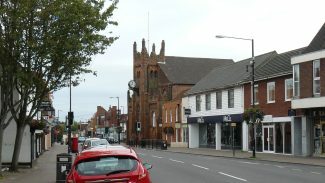 This photograph was taken in 2010 around the time the website was launched to show the High Street from roughly the same position as the next photo. 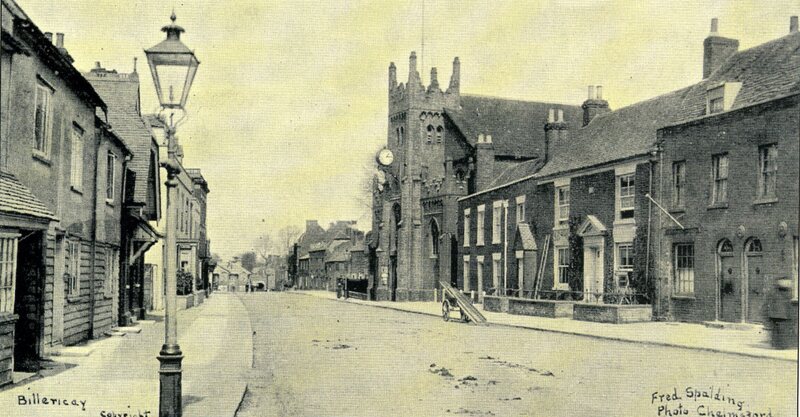 This photograph was probably taken in the late 1800s or early1900s by Fred Spalding of Chelmsford. The above photo was probably also taken by Fred Spalding at a similar time. 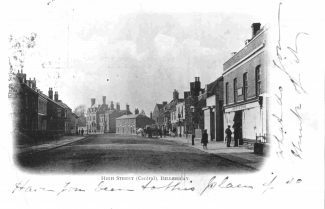 The buildings on the right hand side of the road have changed little, however the pub sign can be seen on the wall outside the Three Horseshoes. The sign bracket can still be seen on the wall of this building, despite the pub being long gone. Also not the collars worn by the young boys. Outside the tobacconist is a Daily Express board which says “Insurance Act Queries Answered”. Thanks to David Bally for identifying this as the National Insurance Act of 1911 (see his comment below). 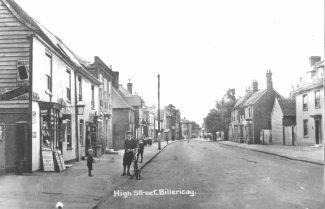 So it is safe to assume this photograph was taken in 1911 or at the latest early Jamuary 1912, the Act having received Royal Assent in December 1911. 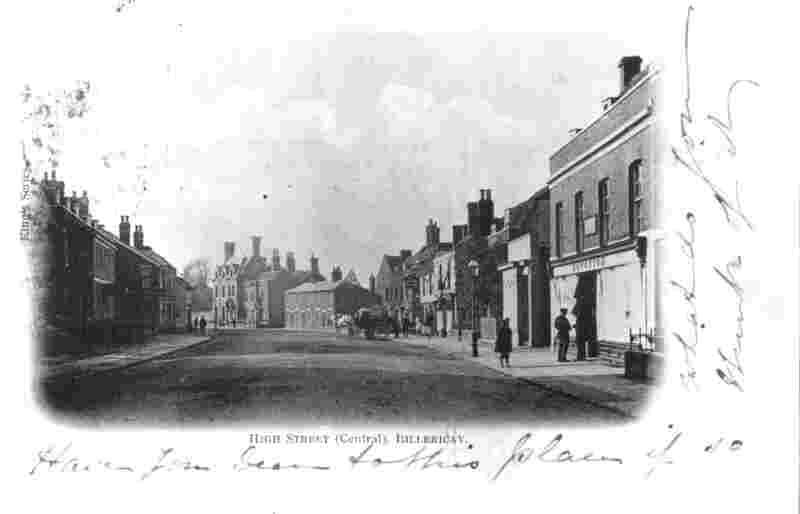 Another scene of the High Street without cars. It shows the central part of the High Street with St. Edith’s in the distance. 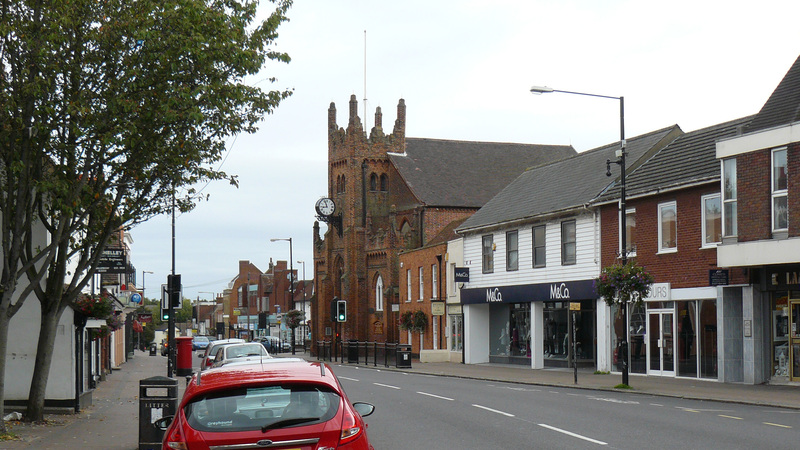 On the left side you can pick out the building where Sparklers jewellers is ( the little white building sticking out. The photo was taken from roughly where the traffic lights are. 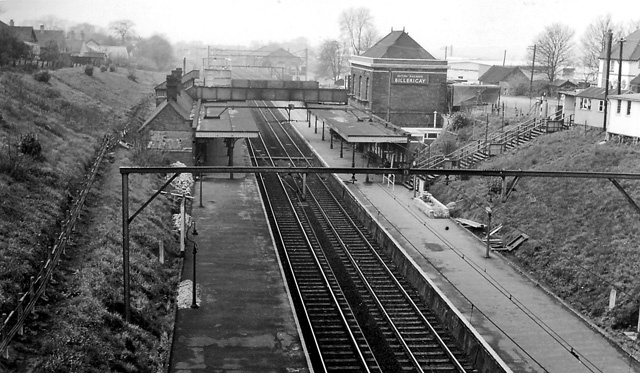 The is Billericay Station after electrification which dates the photo after 1954.